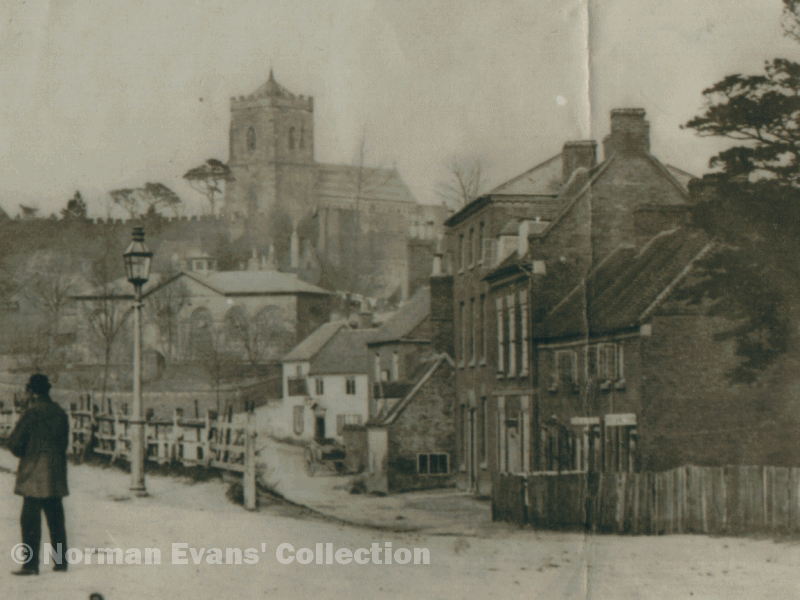 Fairs took place around the old Moot Hall in the triangle of land at the junction of Coleshill Street, High Street and Mill Street, with booths and animal pens overflowing up High Street and along Coleshill Street. Horses were traded at the fairs; John Heath, Warden of Sutton in 1646, accounted for income of one pound fifteen shillings for “Record of horses at two fairs”. This record gave proof of sale and showed that the dealings were honest, and the fee paid to the recorder was known as the toll. The first entry in the “Toll Book for Horses” at the Trinity Fair in 1752 reads “William Grim of Bardsey in Lincolnshire sold to Hewit Walker of Newport in the County of Salop a chestnut mare five years old a blaze in her face price six guineas voucher Richard Hodges”. At the end of the nineteenth century the fairs were only a memory - Richard Holbeche, writing in 1892, recalled the excitement of the fairs of his youth in the 1850s, including “horses trotting up and down in the hollow”. The horse fair had moved to Lower Parade by then, taking advantage of land made available by road improvements. In 1824 the gradient of Mill Street, part of the turnpike road to Lichfield, was reduced by the construction of an embankment at the foot of the hill (now The Parade) and a cutting at the top. This left a hollow (since filled in) between the old road (Lower Parade) and the new road; in 1833 the trustees of the turnpike road wrote to the Warden and Society of Sutton offering to sell them “the land between the two roads at the bottom of the town” for £50. By 1850 this area had become known as the Horse Fair. Lower Parade in the 1860s, where horses were traded on fair days (photo courtesy of Sutton Reference Library).